Phillies preview: Is Jean Segura the best shortstop in the NL East? Jean Segura will be a staple in the Phillies line up in 2019. The Phillies had a shortstop problem in 2018. Under-production from Scott Kingery and J.P. Crawford, and a low impact trade for Asdrubel Cabrera made the position one of the biggest weak spots for the team last season, as those three players combined for an MLB-worst -3.6 wins above replacement. For the Phillies to compete in 2019, the front office knew it needed to upgrade. It took one trade. Philadelphia swapped Crawford and Carlos Santana with the Mariners for Jean Segura and relievers Juan Nicasio and James Pazos. Bringing in a two-time All-Star shortstop, in his prime, was exactly what the doctor ordered. Segura, 28, is a career .287 hitter — but has been a .300-hitter over each of his last three seasons. In 2018, he made his second career All-Star team hitting .304 while adding 10 homers and 63 RBI. Defensively, he has been inconsistent from season to season, saving the Mariners 11 runs above average at SS in 2018, but costing them four in the field in 2017. In all, over seven seasons, he has been good for a net gain of 21 runs with the glove. He's led the entire National League twice in assists (2014 and 2016). The Phils can use all the defense they can get, and Segura has shown he can be an asset both offensively and defensively. He's also a huge contributor in the run game. Last year Segura netted 20 stolen bases, a mark he's eclipsed in each of his last six seasons, dating back to his 44 stolen bags in 2013. With Bryce Harper and Rhys Hoskins appearing to be staples at the 3 and 4 spots in the batting order, expect to Segura slotted as the lead off, two hole or five hole hitter. The Phillies seem to have a big advantage at shortstop, at least based on prior production from the other four starters in the NL East. Segura is the oldest starter in the division with the highest career and average WAR. One of the biggest reasons, aside from his play on the field obviously, that the Phillies love the trade they made for Segura is the team control they'll hold over the Dominican shortstop. He is signed through the 2022 season on a five year, $70 million deal that will cover him though his age 30 season. They then will have a team option for 2023 before they have to decide on whether to ink him to a deal covering his years in the 30s. It's worth noting, also, that the Phils have some insurance at shortstop as it is the primary position of their utility man Scott Kingery, who will be used as a fill in all over the infield during the 2019 season. 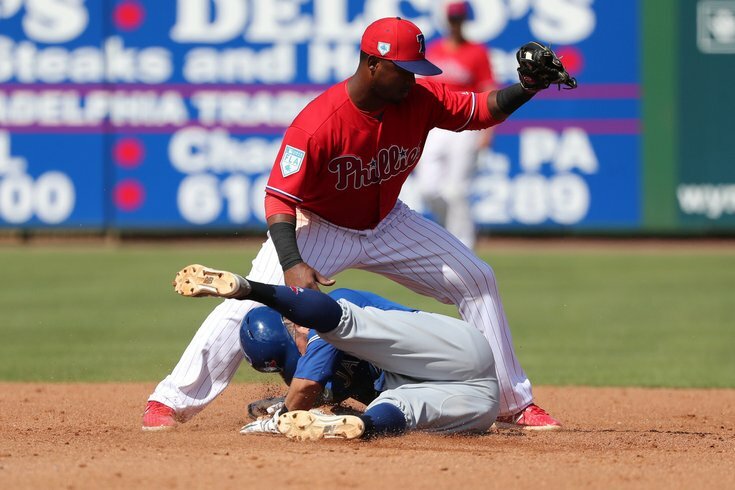 Philly's top shortstop prospect, Arquimedes Gamboa is 21 and expected to start the year in Double-A Reading. It will be interesting to see how his development at short impacts their future decision on Segura.